August heats up as Summer wraps Up! Update: Got some text from Big Tractor Mike, and I’ve (eventually) edited it for posting. You’ll find his commentary among the Farm Fotos below. For some of you, the kids are already back in school. For the rest of you, they will be soon. Labor Day is just around the corner. (Oh, and our Calendar is updated.) Yes, soon we’ll see the final sunset of this Summer season … but at least we have the next K-Day to look forward to! The sizes below are tops with shoppers! Big Tractor Mike brought in a few awesome (and awesomely massive) farming mega-machines. I’ll tell you more about ’em as soon as I get some write-up fodder from the BTM himself! 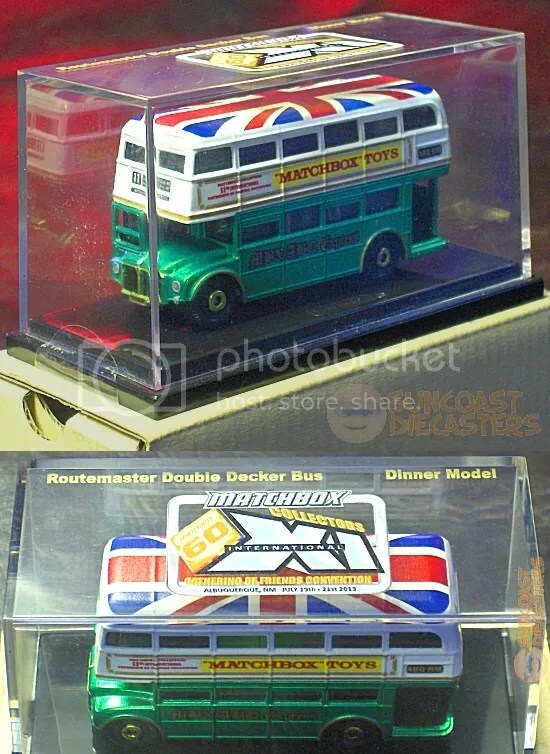 BTM: Die-Cast Promotions’ 1/64th-scale BIG BUD 747. 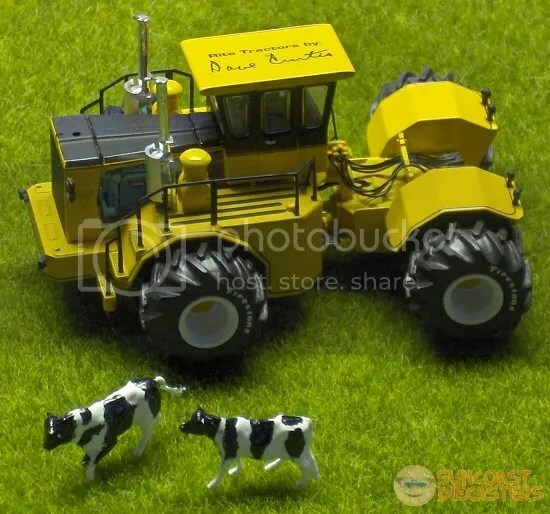 Supposedly the largest tractor in the world. Specs: 760 H.P. ; articulated 4WD. 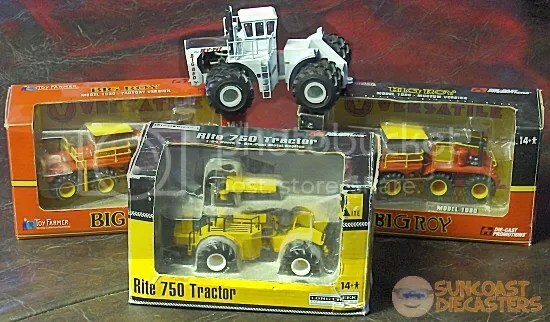 BTM: Rite 750 tractor. 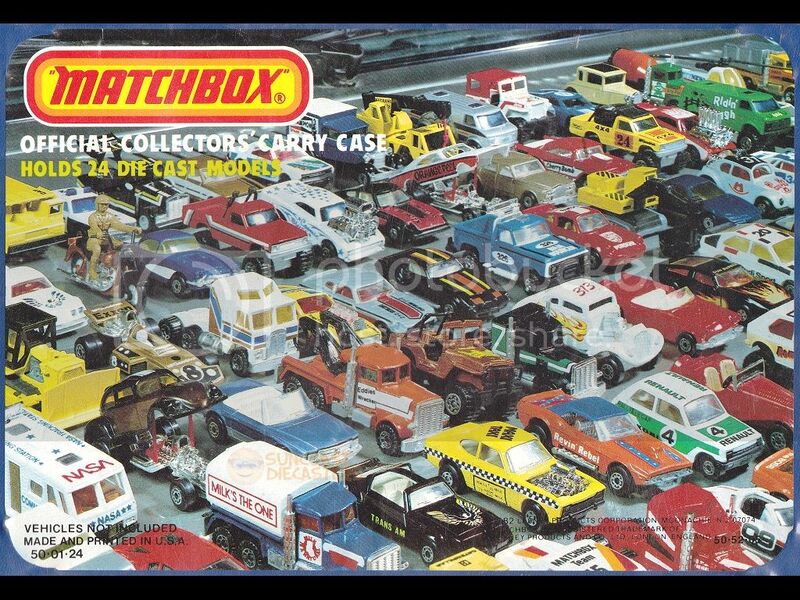 Die-Cast Promotions’ 1/64th-scale model, Long Creek Toy Company. It takes a big man to autograph a machine this size…. Eat your vegetables, son, and you’ll grow up big like me! Do … Do I hear Ennio Morricone music playing somewhere? Mike says the company built one full-size working version of this design, then sent it to a museum. Hey, you can read about that right here! 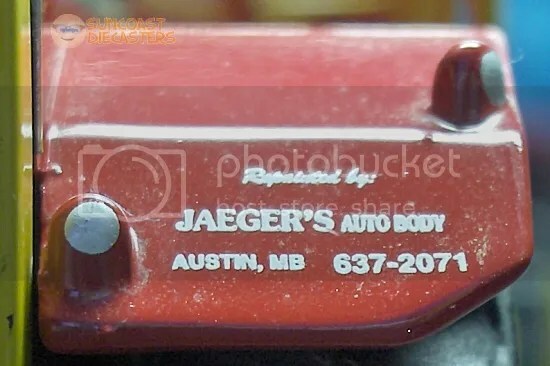 Jaeger’s Auto Body — 43 years without a website! 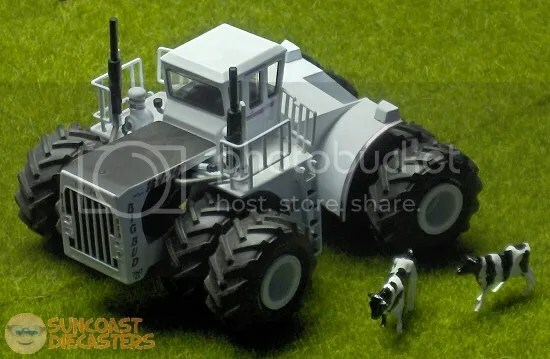 BTM: Toy Farmer/Die-Cast Promotions’ Big Roy model 1080 (factory version) 1/64th scale model. BTM: In the heat of the North American battle for a thriving, high-power articulated tractor market, Big Roy was unveiled at the US Farm Progress Show by Versatile Manufacturing Company. Loaded with design innovations, the model 1080 was a bold statement: eight bulky Firestone tires rode on 4 axles powered by a massive 600-HP Cummins engine. Retractable ladders, a camera monitor system, and many in-cab comforts made a tour of the futuristic tractor forever memorable. 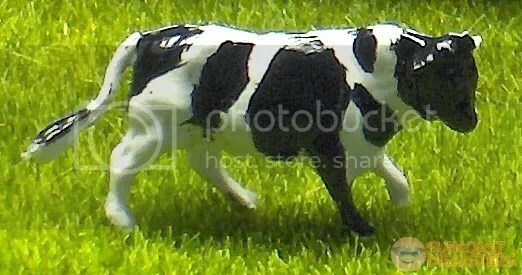 Big Roy was a star on the farm show circuit for many years after its introduction. 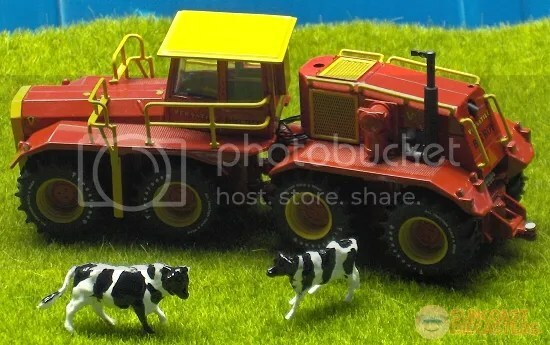 When the company introduced its Series III line in the late ’70s, the tractor was cosmetically transformed to the sharp black and red paint scheme of the new line. Once the Big Roy had completed its promotional duties, an arrangement was made with Manitoba Agricultural Museum to provide the famous tractor a permanent home. Thanks to museum volunteers and tourist support, Big Roy lives as a distinctive reminder of a glorious era in tractor history. 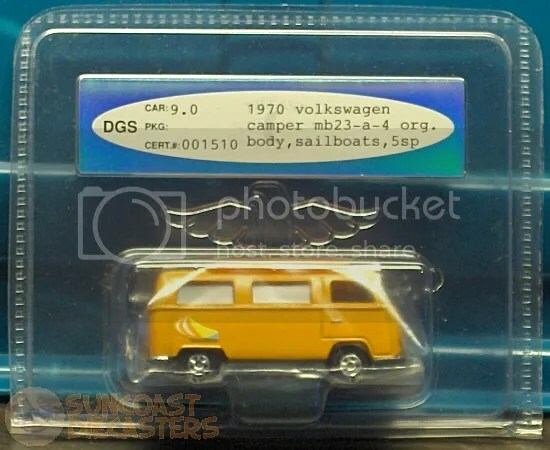 The red/yellow die-cast replica is one of two versions produced and is representative of its appearance circa 1977. 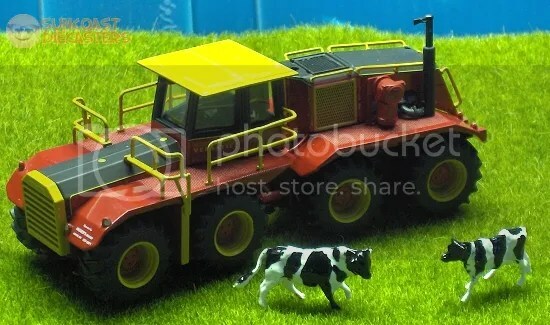 The second tractor (red/yellow/black — museum version): current appearance circa 2006. 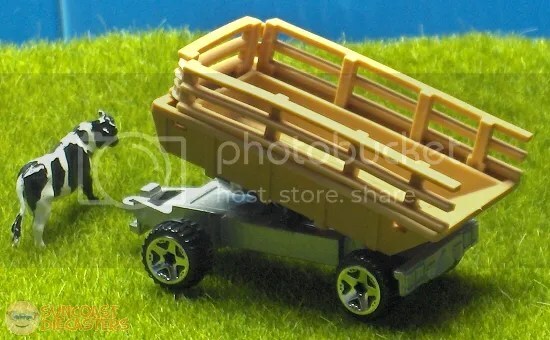 BTM: Current Matchbox hay trailer, pre-production, picked up at the 2014 Gathering of Friends Saturday night auction. 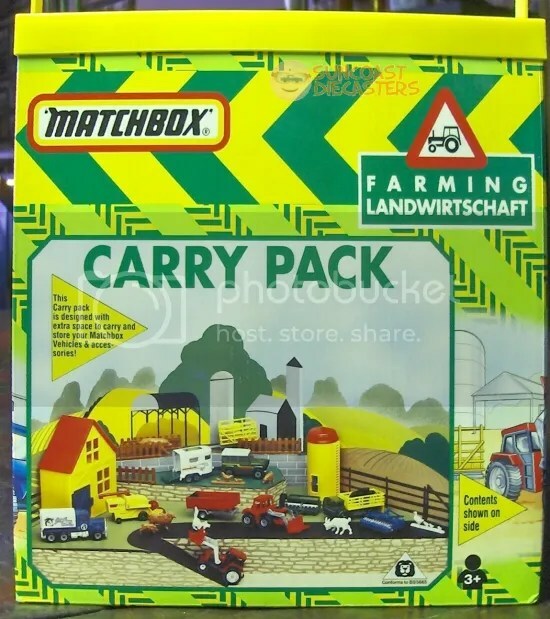 Donated by Mattel — cost me $70.00?? 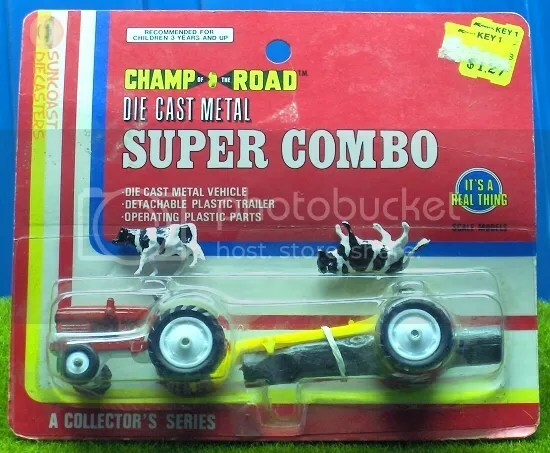 BTM: Champ of the Road (sort of a K-Mart exclusive) SUPER COMBO: die-cast tractor with plastic log trailer and log. 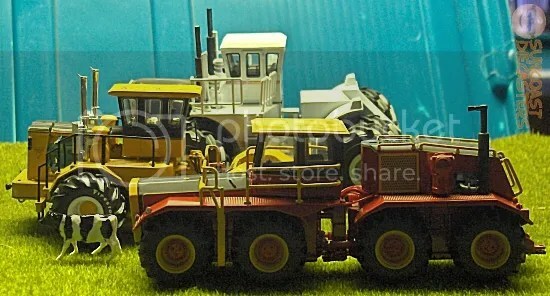 This model is almost an exact copy of the Majorette model from an earlier decade. Another plus is that it’s *not* a ”Hello Kitty” lunch box! 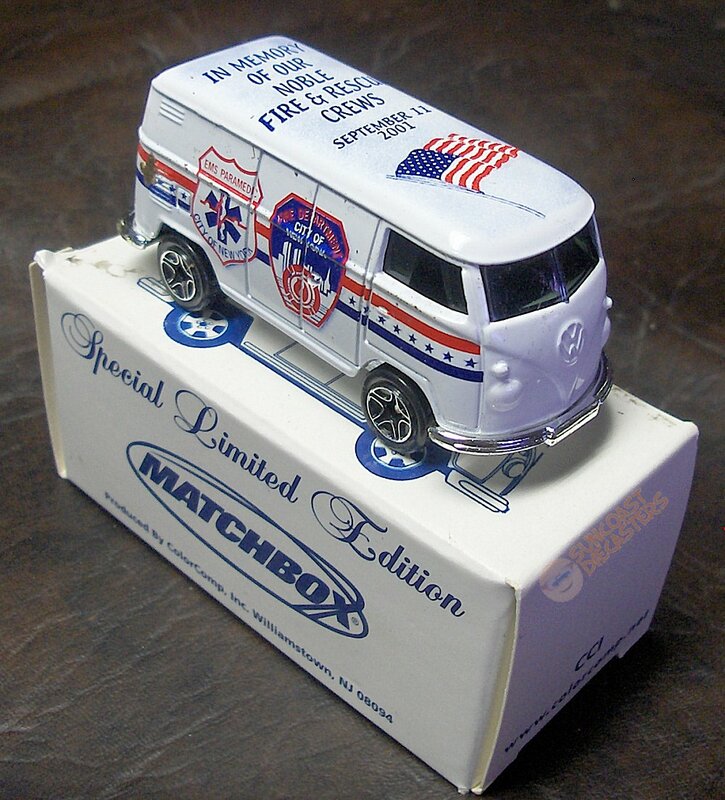 Mike attended the 2014 Matchbox Collectors International Gathering of Friends, where he acquired this 2013 very limited-edition Convention Vehicle, which was eventually purchased by Tom. Just to clarify: this is not something you send tumbling down orange track. 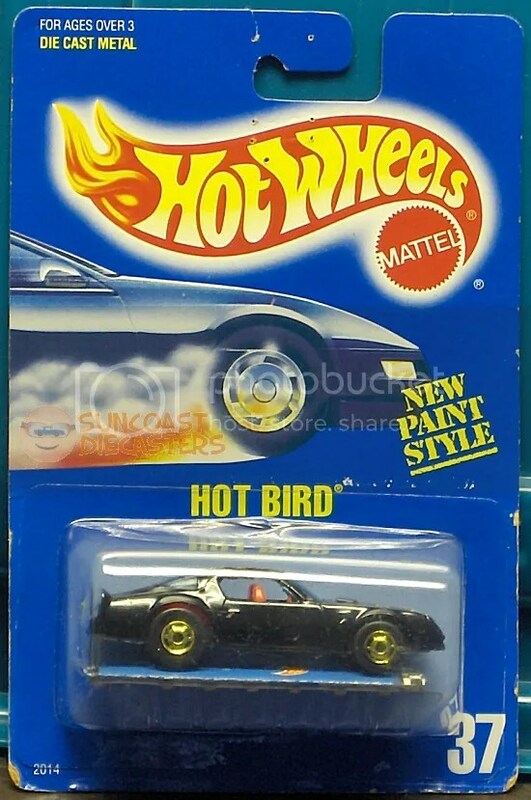 Bill had some great stuff, such as this rare Hot Bird on a number 37 blue card from 1990. 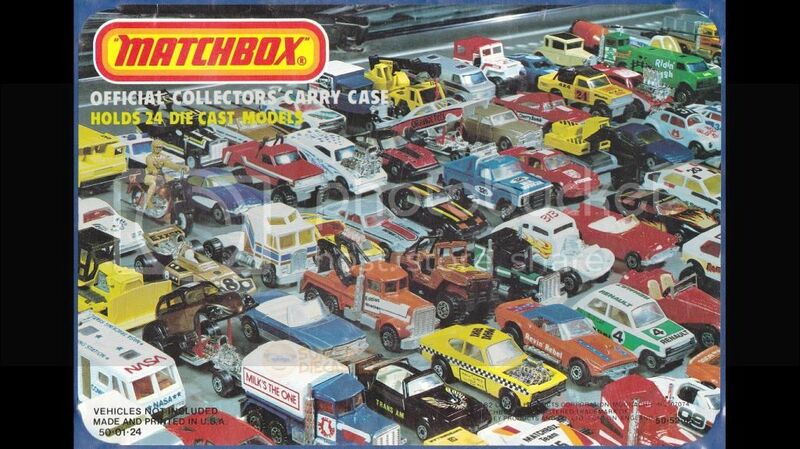 Also Bill, too: Matchbox Horse Box from 1977. 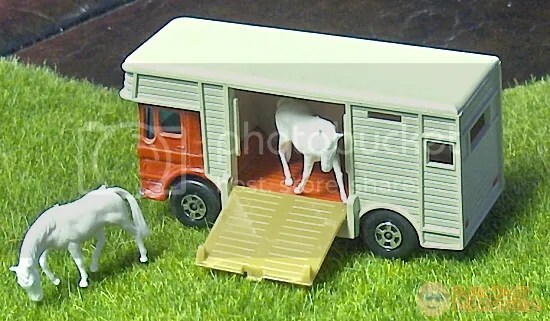 Exceedingly rare to find one with both horses. 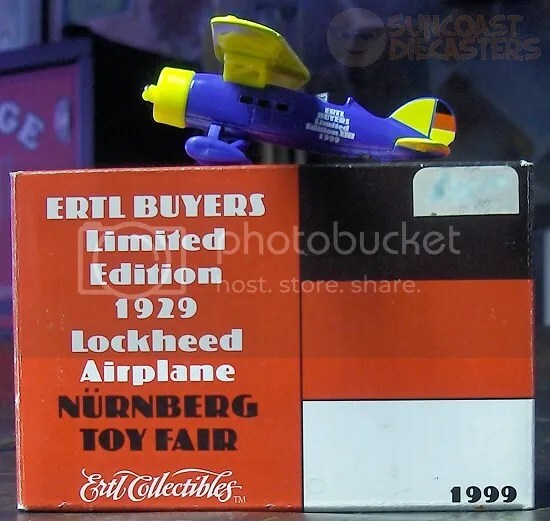 Also Bill, too, as well: This yellow-and-blue plane was made by Ertl, and was only available to dealers. Catch me in action at Red Bull Flugtag 2015! 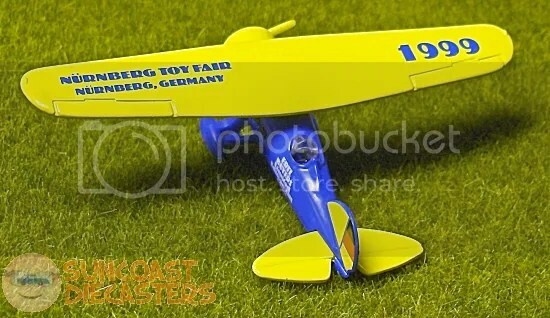 Also Bill, too, as well: This yellow-and-blue plane was made by Ertl, and was only— Oh, shoot. Guess I should’ve posted this photo first. Well, anyway, enjoy the funny caption. Ah, here we go. 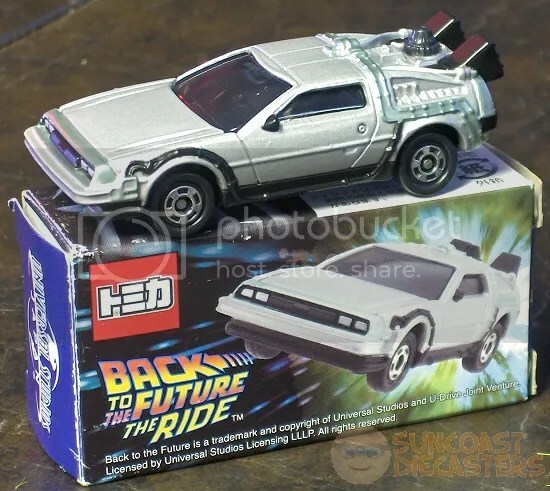 Big Tractor Mike RAOK’d me with this very rare item: Back to the Future DeLorean, in a Japanese market box, available only as a Universal Studios Japan exclusive. Very nicely detailed and sculpted model. By the way, this is the third time Mike has done me a solid regarding the DeLorean. 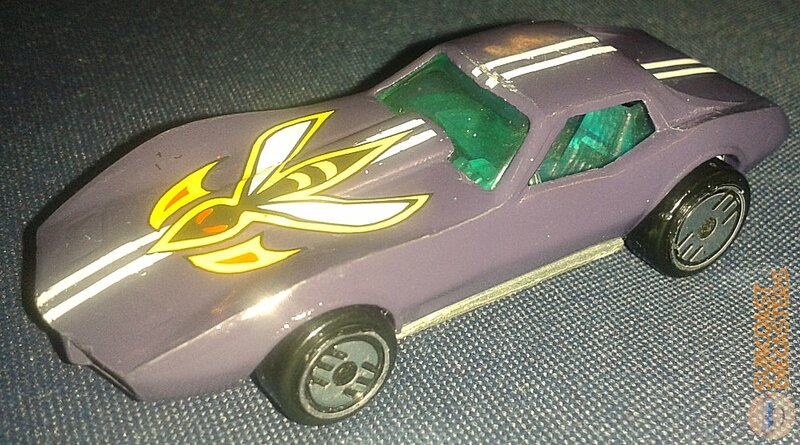 Last month he RAOK’d me with both the Hot Wheels DMC-12 and Time Machine; and, way back in March of 2011, he provided tires for a footloose Johnny Lightning Time Machine I picked up at a rummage sale. With so much Mike history, I readily declare this our Find of the Month(*) for August 2014. 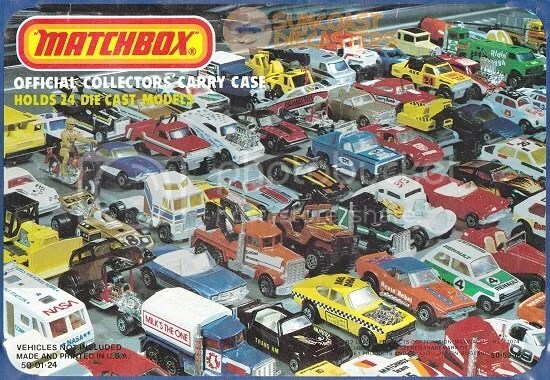 Hey, with versions by Johnny Lightning, Hot Wheels and Tomica, I could film my *own* trilogy!